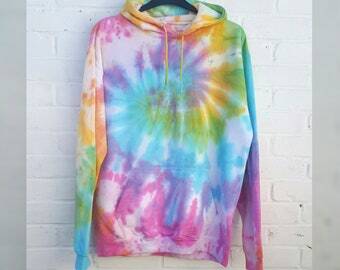 Tie dye fashion & gifts for the hippie at heart! Announcement Hippie tie dye socks & tshirts, grunge style denim, pastel goth trends & rainbow everything! Unique festival fashions & hippy gifts, all hand dyed for that person who likes to be a little unconventional! Hippie mens tshirts & bohemian womens dresses, children's yoga pants & tie dye baby onesies. Perfect gifts for anyone who is hippie at heart! Hippie tie dye socks & tshirts, grunge style denim, pastel goth trends & rainbow everything! 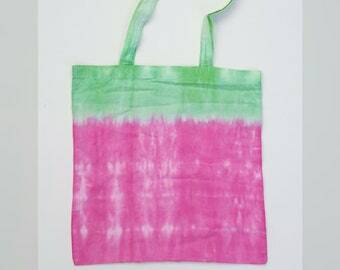 Unique festival fashions & hippy gifts, all hand dyed for that person who likes to be a little unconventional! Hippie mens tshirts & bohemian womens dresses, children's yoga pants & tie dye baby onesies. Perfect gifts for anyone who is hippie at heart! This is a beautiful shirt. I love it. The perfect Christmas gift for the hippie in your life at AbiDashery! Dyeing bandanas today ready for the Christmas rush here at www.abidashery.etsy.com! Trying out these new hoodies for size today at www.abidashery.etsy.com I'm not sure my boyfriend is too happy with my colour choice! A usual days dyeing at AbiDashery! Tied and dyed and waiting to dry at AbiDashery! Such pretty colours at AbiDashery! Wrapped and ready for dispatch at AbiDashery! What happened to all those Golden Eggs? For as long as I can remember I’ve gotten an immense thrill from being frugal. Although there have been periods in my life (now being one of them) when this wasn’t an option but a necessity I have still found myself, during times when I have had the money to shop in John Lewis, trawling through the sale rails & bargain bins in the Salvation Army just to find some precious nugget that everyone else has overlooked but that I will fall instantly in love with. I like things a little out of the ordinary; I dress for myself first and others second. Every day that I get up and get ready feels like dressing up to me, like getting ready for a tea party when I was a child; in my head I’m just a little girl wandering around in a pink tutu and white tights, magic wand in hand looking for the next adventure. I seem to have a total aversion to knuckling down, doing the 9-5 thing and working for ‘the man’ despite efforts made by others to push me in that direction. I’ve tried and failed at this so many times before and it makes me feel so empty that this time when I lost my job I saw it not as the disaster that some people saw but more the opportunity I had been looking for to finally do what I’ve always wanted to do. It dawned on me one morning as I sat drinking coffee, staring into space and wondering how the hell I was going to pick myself up this time, that Shakespeare had been telling me what to do for years in the form of a fridge magnet that my dad brought me back from Stratford-Upon-Avon, it said simply ‘Above all else – to thine own self be true’ I had read it so many times but never really let its meaning fully penetrate. From that moment on, it was easy and AbiDashery was born. I don’t know how my look and style fits in with everyone else, I don’t have a TV, I don’t read newspapers or magazines etc so I don’t follow ‘style’, I just have my style which basically comes down to things I love and feel good in and that’s what I try to reflect in all my creations. I just want to express myself in how I look and it if I can do it cheaply or make it myself then that gives me even more of a sense of delight. Even as a child I can remember being this way, I have memories of watching Charlie and the Chocolate Factory (the Gene Wilder version obviously) and obsessing over what happened to all those Golden Eggs that didn’t pass the test and went down the ‘bad eggs chute’ I mean, did someone recycle them? Were they made into Golden Egg omelettes? Did they give them away to poor children whose families couldn’t afford Golden Eggs of their own? What happened to them? They looked so perfect and even then as a small girl I couldn’t stand the thought of them just being chucked out. And I still can’t, I have cupboards, boxes, bin liners - even my old bedroom at my dad’s house crammed full of ‘useful things’ that I am definitely going to get round to making something with…some day! I often I find myself standing at the recycling bin turning an egg carton over in my hand and getting misty eyed and I have to remind myself I still have a cupboard full of old jam jars and six bags of unsorted clothes to turn from rags into attire fit for a gothic Cinderella’s ball and I need another egg carton like I need a hole in the head right now! So I guess what I’m saying is that here at AbiDashery, we do things a little differently and the first rule is there are definitely NO RULES! Every item has its own character, its own personal story and each is special for its own odd little reasons - just like we are! If you like high fashion, clean lines, symmetry and sophistication then I would be surprised if you have read this far but if you like quirky and unconventional, if you like to stand out from the crowd and want to own something nobody else has that was made with love by someone who cares and loves what they do then this is the place for you and AbiDashery welcomes you. I'm a simple girl at heart, I like what I like - I leave what I don't. I don't follow trends so my style comes down to things I love & feel good in & that’s what I try to reflect in my work. :) For upcycling ideas check out my Abi Dashery Youtube. 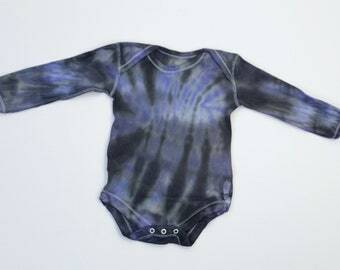 Here at AbiDashery I love to tie dye everything, from tshirts & bedding, to socks & denim! If you like quirky & unconventional, if you like to stand out from the crowd & want to own something nobody else has then this is the place for you and AbiDashery welcomes you. It is very important to me that you love & are happy with the item of clothing you recieve, and that the transaction has met your expectations. If for some reason, this is not the case please do not hesitate to contact me as soon as you recieve your item. Refunds cannot be given if your item does not fit, I would ask that you check your size beforehand if you are unsure, I am always happy to help with this & help with any measurements you may need to send me. I am happy to exchange a garment if it doesn't fit but the customer is responsible for all return shipping charges. The items must be returned unworn and in the same condition they were received. If your item was a custom order or dyed to order for you then a return cannot be given unless I have made a mistake in your order or there is a defect with the item itself, so please check your sizing before ordering a custom garment. If you for any reason your clothing has not met your expectations then please contact me. If you are not fully satisfied with your original purchase then as long as it is not a custom piece, you can exchange any item purchased for one of equal value, the customer will incur the shipping charges for this, unless the fault lies with me. In the event that this happens & the fault lies with AbiDashery then a full refund or exchange will be given following the return of the item in it's original condition. Custom orders are not returnable unless damaged or defective. Safe to use Direct Check Out and PayPal. Please double-check your shipping destination. - Ready dyed items are processed within 1-3 working days. 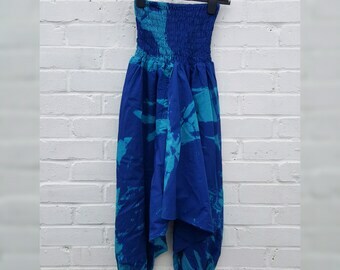 - Dyed to order items have a 3-5 working days turnaround period. Customers are encouraged to take these timelines into account when ordering items for a specific date (especially if it is a custom item or a dyed to order item). If you do need an item by a certain time then please let me know in the comments or via Etsy convos & I will endeavour to have it out to you in time, please purchase tracking with your order if you live overseas and need an item by a certain date to ensure it arrives in time, once an item has been dispatched, I cannot be responsible for any shipping delays caused once the item has left my hands. Great care & attention is taken to individually package and ship your items & customer satisfaction is very important so please contact me if there are any problems. Orders are shipped by Royal Mail or Royal Mail International. This is standard postage, if you require tracking or signed for delivery then please contact me & I can adjust the price of your shipping accordingly. I am happy to ship anywhere in the world, but please realise that international shipping does take longer, and can take weeks in some cases. PLEASE NOTE: I have a 12 hour cancellation window for custom/dyed to order items, after that time work may already have started on your item & therefore I cannot accept cancellations after this time period has passed.